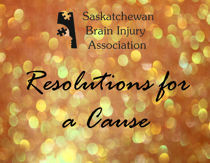 Program Description: The Saskatchewan Brain Injury Association understands the importance of a professional display. Getting the word out about SBIA and prevention is critical. Every year SBIA is out in Saskatchewan communities, speaking with students, teachers, families and the public about Brain Injuries and prevention. A well designed, professional display will help us achieve this goal as well and become visible.